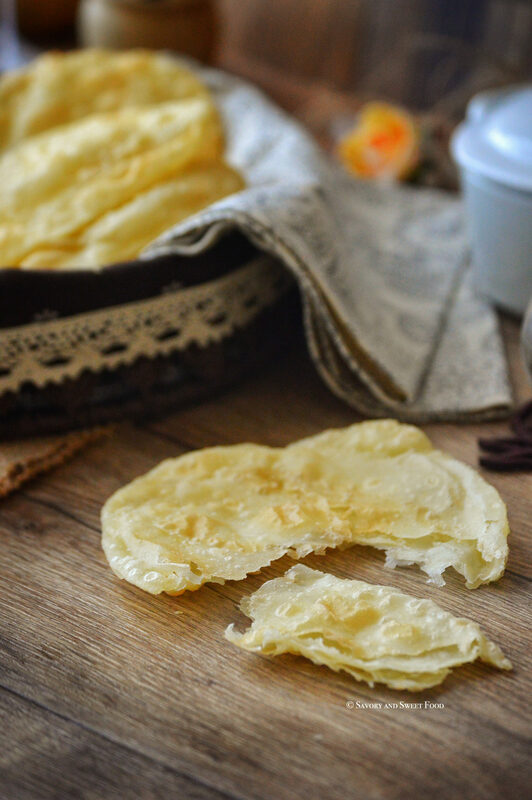 A soft Bangladeshi flat bread, which has flaky layers and is deep fried. Perfect with a nice bowl of thick chicken gravy. 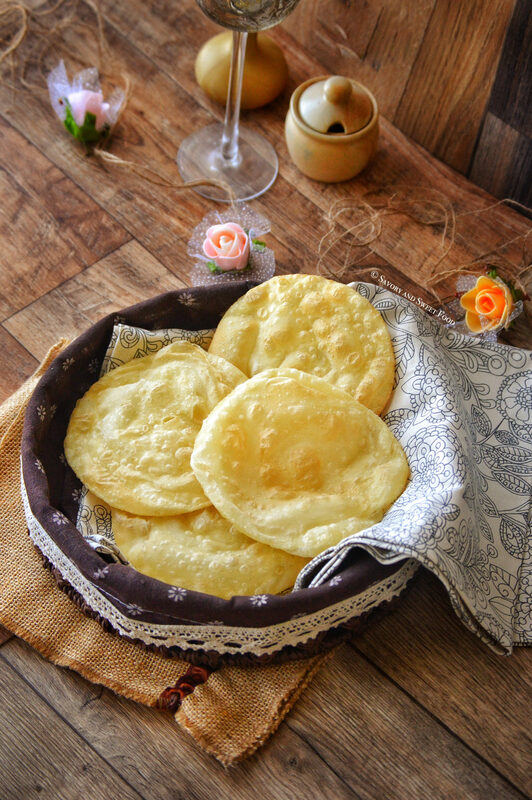 Who doesn’t like puris. I’m sure most them does. And most of you like flaky layer parathas too right? 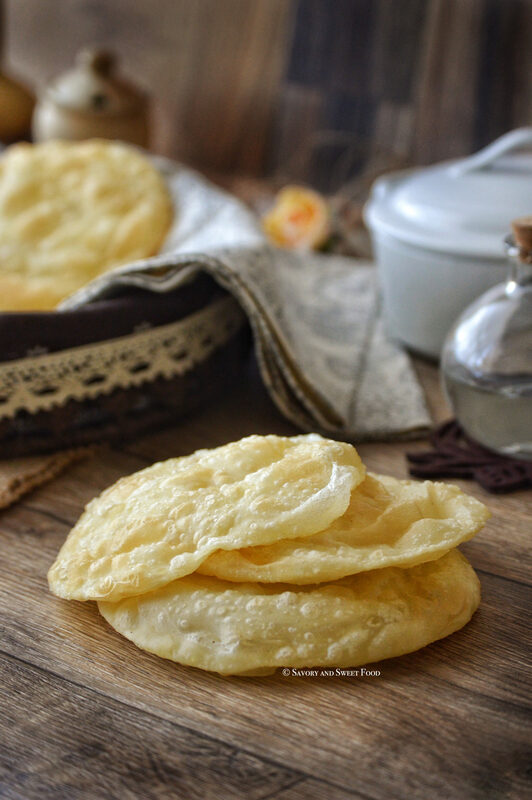 Todays recipe is a combination of both, it is flaky like a paratha and its deep fried and puffed up like a puri and it is too good. Okay, but I have to admit that this is not the healthiest of dishes. Firstly its made out of maida (all-purose flour) and secondly, it is deep fried. So the diet conscious ones will not be able to enjoy this bread from Bangladesh much. But hey, its okay to have this once in a while. I’m sure you won’t regret after tasting this. 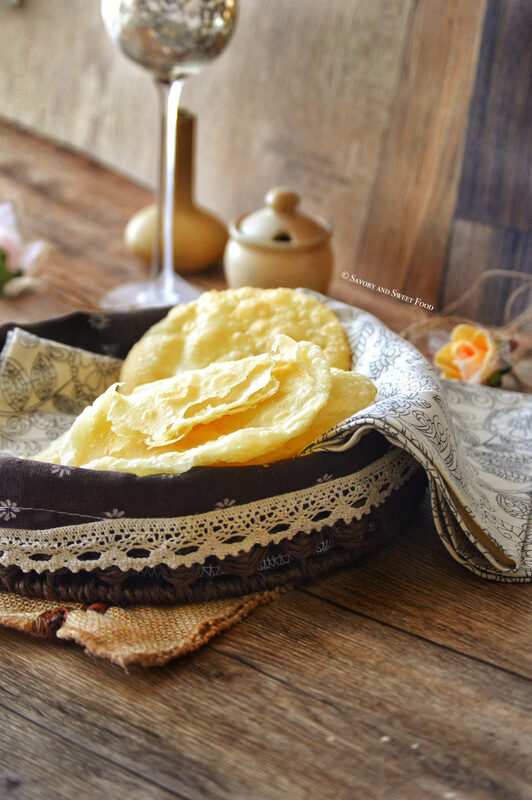 As I have mentioned above, this bread is a traditional bread of Bangladesh. I remember one of my Bangladeshi friend in college used to bring yummy parathas in her tiffin and I still remember the taste of it. I am not sure if it is the same as this one. Tasmia, if you are reading this, let me know if it is the same. If not please do share the recipe of that paratha. 😀 The recipe of your chicken curry too. Yumm it was! Add flour, salt and ghee in a bowl and mix well. 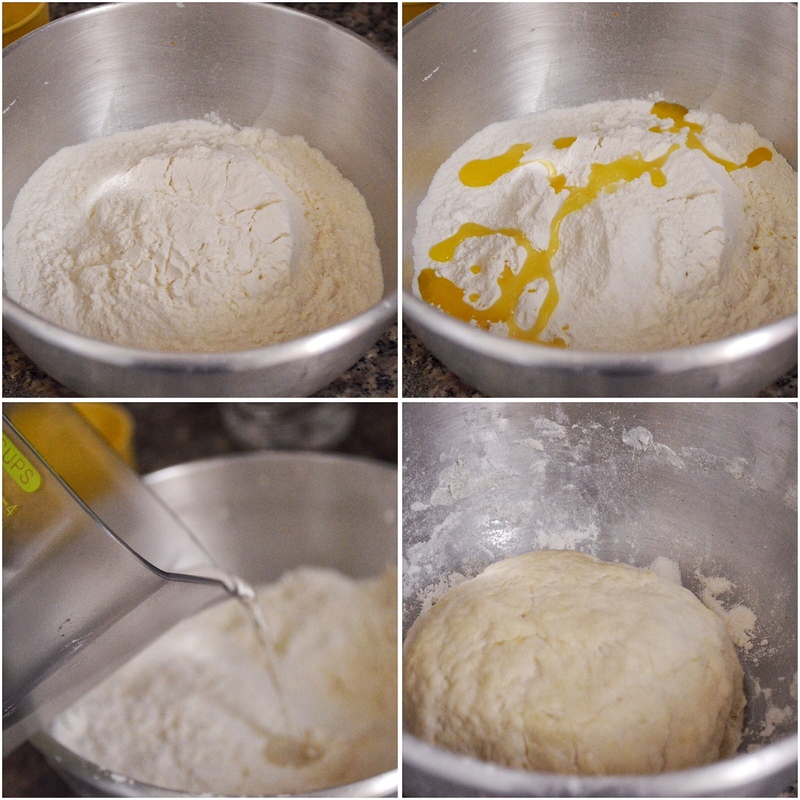 Slowly add in the water and knead well till soft and not sticky. Cover and let the dough sit for 10 minutes. Make small balls out of it, you will get 10-12 numbers. Roll out the dough ball till it is flat and round. Brush ghee on the rolled dough. Sprinkle all purpose flour all over the rolled dough. Fold the rolled dough into half. Again brush ghee on top of the folded dough. Then sprinkle flour. 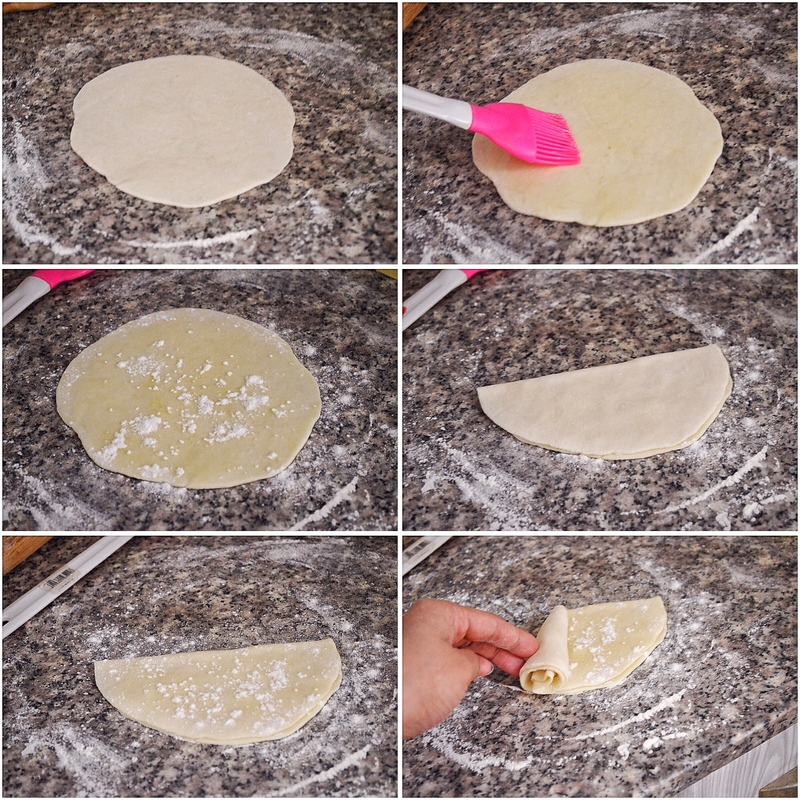 Roll the folded dough like how it is shown in the picture. Then screw down the dough, pressing it till you get a disc shaped ball. Let it rest again for 10 minutes. Again roll out the dough into flat round. Deep fry till puffed up and golden brown in color. 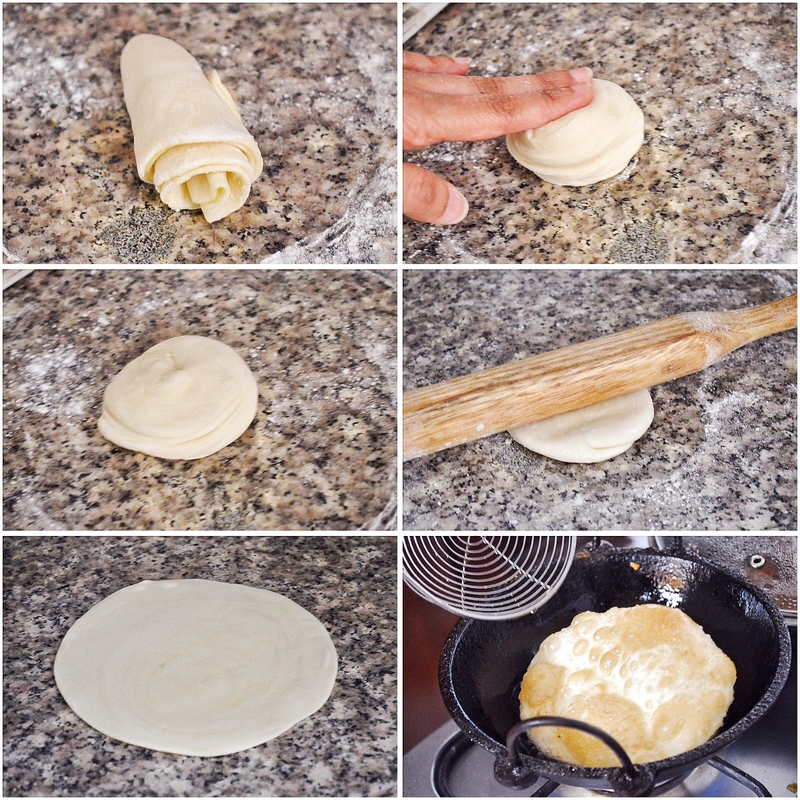 Roll the folded dough like how it is shown in the picture. Then screw down the dough, pressing it till you get a disc shaped ball. Let it rest again for 10 minutes. Heyy i saw the video of this recipe.. I was scared to try.. it seems so oily..
Hey Aysha! It is oily, but oily like batura. Not more than that. It tastes . I know, it was very tempting. I was so excited to see how the texture would be after frying and it was great. Hey! 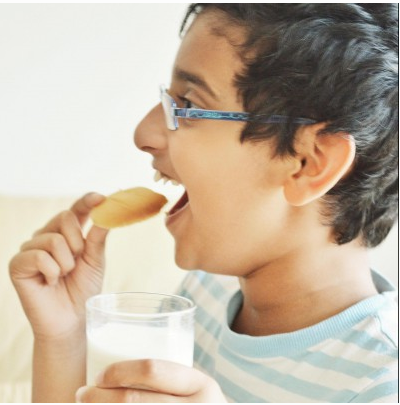 Truely honored to be mentioned in your cooking blog. All the recipes look so delectable with some beautifully shot pics. You have some amazing photography skills my friend! These look scrumptious btw! 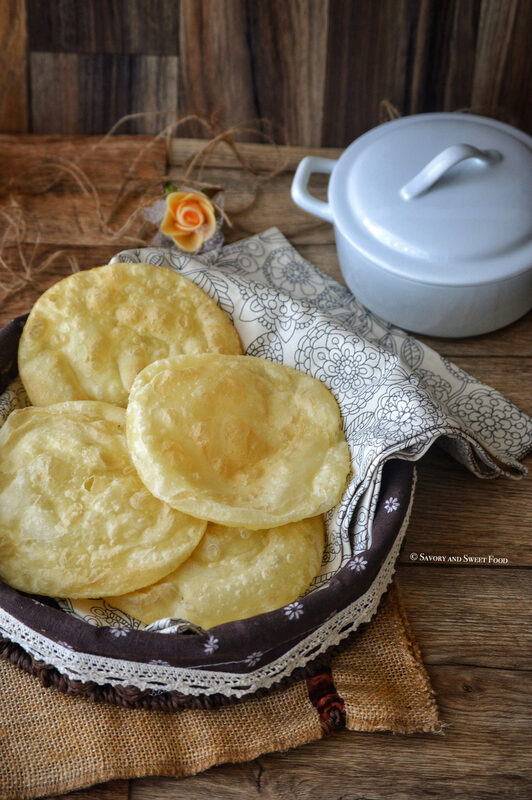 They look like a sophisticated version of puris btw, since Bangladeshi parathas are’nt usually deep fried. On a diff note, could you please share the recipe for the South Indian layered paratha. I m a biiig fan but can never make them the proper way like they do at restaurants. Heyy Tasmia! Thanks for the kind words dear. Happy to read. I know, the malabar porota is too good right. I didn’t try making it at home till now. But yes, in shaa Allah, I will soon. Heard that it is a little difficult to get it right and perfect. Let me see if I can make it good and then I will post.